He made the remarks when he paid a courtesy visit to the acting Chairman of the Fiscal Responsibility Commission (FRC), Mr. Victor Muruako, in his office on Tuesday, May, 2, 2017. Okoh promised that under his watch, the Bureau would give priority attention to both relationship building blocks in order to earn a seamless relationship with Ministries, Departments and Agencies (MDAs) in the country. The Director-General said that the visit signals the importance the Bureau attaches to the mandate and the work of the FRC. Responding, the Acting Chairman of the Fiscal Responsibility Commission (FRC), Mr. Muruako, solicited a robust relationship with the Bureau in the discharge of the mandates of both agencies. He said the visit of the DG clearly shows that he was prepared to work with relevant stakeholders, and to establish a good synergy with the FRC. Muruako pledged to support the Bureau now that it was ready to synergize with the FRC. He added that whatever “we are doing, it is to fund the nation’s treasury, which requires the co-operation of all revenue generating agencies in the country”. 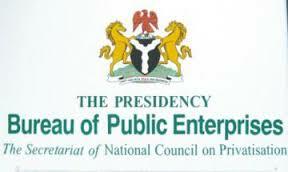 He announced that the template for operating surpluses in the country would soon be launched and all the government revenue generating agencies, including the BPE would be formally invited.